This report aims to help executives, directors and managers facing daily and longer term decisions about how to grow their business by understanding not just what others are doing, but also if they think they will succeed. 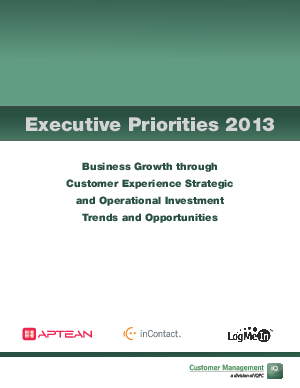 Nearly two thirds (63.5%) of survey participants believe their organizations are on track to achieve 2013 goals. Yet they, as well as others who have less confidence in their business's ability to perform, have revelaed systemic issues in their organization that could hinder even the strongest companies. Broken processes, poor communication and weak leadership were all uncovered in this research.